Common Guillemots disperse to sea after breeding where they become flightless during their pre-basic moult (Birkhead & Taylor 1977). Breeding birds at the south of their European range make brief visits to their breeding ledges from October onwards (Harris & Wanless 1990). Autumn records on Lundy were sparse, and some reports do not record whether birds were seen at sea or on land. 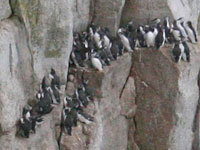 This survey found that Lundy's Guillemots usually return to their ledges in mid October. The earliest record is now of 29 birds on ledges on 12th Oct (in 2011). This is 26 days earlier the than previous records. 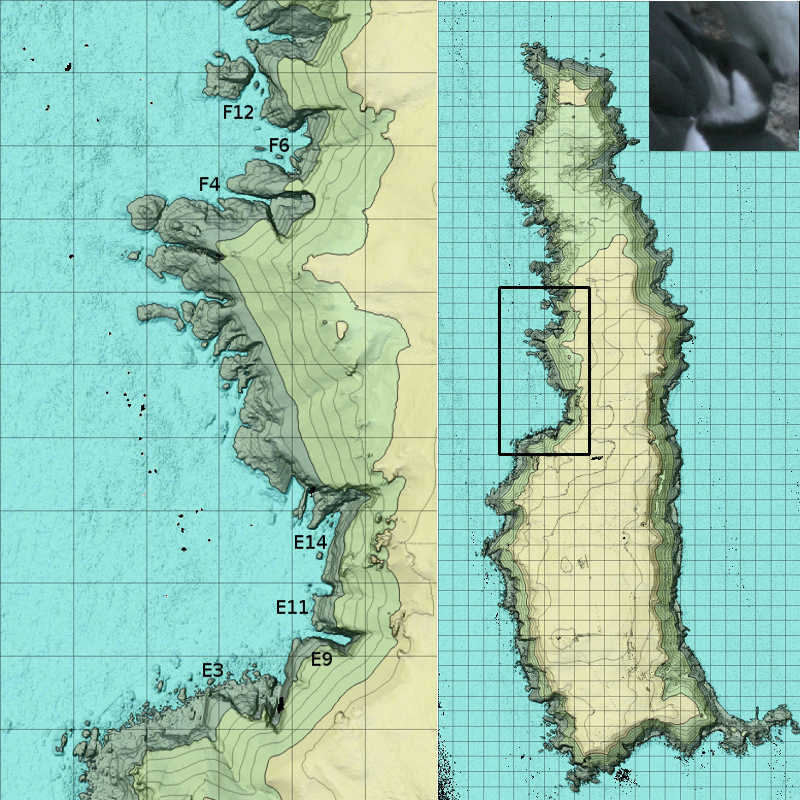 This study counts Guillemots from seven sub-colonies on the west coast of Lundy (E3, E9, E11, E14, F4, F6 & F12, see map). It started in October 2008 to extend work that I had started on chick provisioning in 2006. It also compliments the whole-island seabird census of Martin Davis which was continued by David Price and others.